At the Dozier Law Firm, LLC, we have been providing trusted legal protection to the people of middle Georgia for almost 50 years. Since 1966, our attorneys have been protecting the rights of clients in matters ranging from personal injury, workers' compensation, wrongful death, to bankruptcy law and criminal defense. Approaching each case with a client-oriented method, our firm is committed to ensuring our clients understand their rights and options. Never afraid to face a challenge, our lawyers tirelessly prepare to see cases through to the end. As a team of experienced litigators, we do not pass our cases off to other attorneys. Instead, we stand by our clients and provide the strength and legal protection they need no matter where the case takes us. 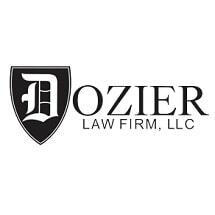 Encompassing a wide range of legal practices, Dozier Law Firm, LLC, is able to assist you with your particular legal issue. Clients involved in car or tractor-trailer accidents can feel confident as our attorneys work on their behalf against the insurance companies. Performing our own investigations, assisting in obtaining the best medical care, knowing when to engage the experts, while meticulously preparing the case for trial, we send a message to the insurance company that our clients deserve to be treated fairly and we will not back down! Initial consultation is free and once retained, no fee is charged unless we recover. If needed, we will even come to you. Also, if you are permanently injured, our disability specialists will guide you through the arduous task of dealing with Social Security and get you approved. For people in tough financial times, our bankruptcy department will confidentially and aggressively assess your situation and advise you of all your options to lighten the load and get the creditors off your back! If you have been accused of a crime, our criminal defense attorneys will protect you every step of the way—ensuring fair treatment and the best defense available. We are located in Macon, but we represent people throughout Georgia and across the entire southeast. When things are at their worst, the lawyers of the Dozier Law Firm, LLC, stand by you and fight for everything you are entitled to. As a family law firm personally invested in each case, we believe in treating our clients like our own friends, neighbors and family. The Dozier Law Firm, LLC, experience you can trust.